[20 May 2017] It the time of the year again and the travel season to the islands in the east coast has begun. With the June school holiday just around the corner, you should start planning your trip the crystal clear water of Tioman Island. Ferry tickets are selling fast and you ought to act fast and book your tickets now. Blue Water Express operates daily ferry from Mersing Jetty and Tanjung Gemok Terminal. The drop-off points on Pulau Tioman are: Kg Genting, Kg Paya, Kg Tekek, Kg Air Batang and Kg Salang. The one-way ferry costs RM35 which does not include Marine Park Conservation Fee and surcharges. 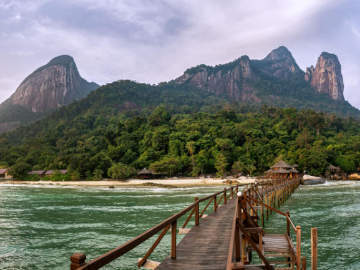 To book your ferry tickets to Tioman Island, click Easybook.com. 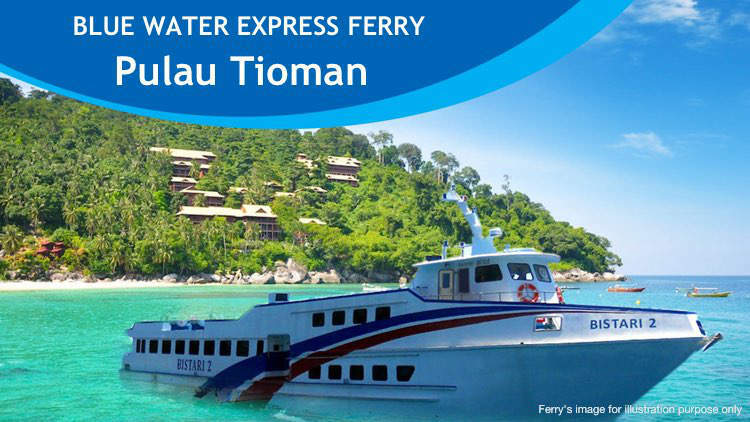 Blue Water Express provides ferry service to Tioman Island from Mersing Jetty. The ferries to Pulau Tioman starts as early as 6.30am and the last ferry leaving at 5pm. However, actual departure timings are subjected to the tidal condition. 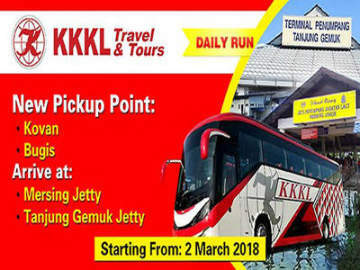 There are several drop-off/pick-up stops along the coast of the Tioman Island including Kampung Genting, Kampung Paya, Tekek, Kampung Air Batang and Kampung Salang.